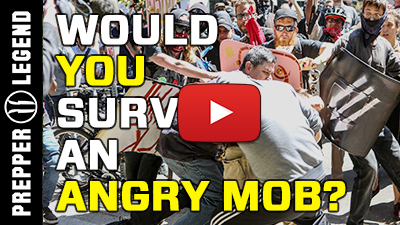 Would You Survive An Angry Mob? Home » Would You Survive An Angry Mob? 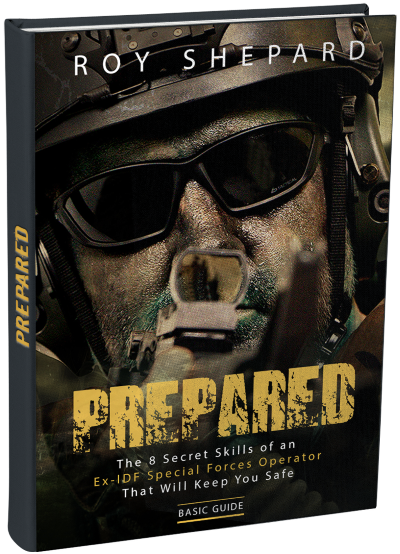 Learn the 8 secret skills of an ex-IDF Special Forces operator that will keep you safe and prepare you for any situation - from a street mugging all the way to a full blown global catastrophe! Violent protests have been spreading like wildfires lately across the US – would YOU be able to evade and escape from an angry mob? On February 1st, March 4th, April 15th, April 27th and later on August 27th, 2017, a series of speeches in Berkeley, California, were canceled due to safety reasons – the area was filled with violent protesters who created such chaos that the events were deemed unsafe. In the different instances, the rally areas were filled with thousands to tens of thousands of people, that were protesting for different camps, and after a short while, they turned extremely violent against one another. They targeted anyone who they perceived to be in an opposing group, and dished harsh violence using rocks, clubs, shields and some sharp objects. The protesters created a stampede of rage, vandalising cars, buildings and property in the area. This type of event happened several more times in different locations around the US, and it seems to be a growing concern in many cities like Portland OR, San Jose CA and many more. Can we prepare for this sort of scenario? We sure can! Most of these protests are scheduled with the police, and publicized in the media or social media, so make sure to stay updated with the local news. If something seems off, do a little background check (using our trusty “uncle google”), and avoid any areas that seem risky. Always make sure you have your EDC ready and handy (Gear Tier System series) and remember to stay covert by implementing the Gray Man principles and mindset (Gray Man Series). But what should we do if all our precautionary measures failed, and an angry mob is moving toward us? 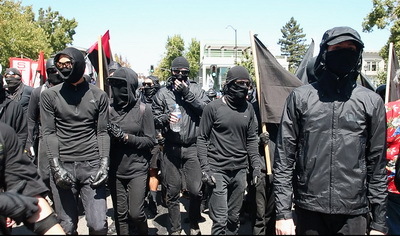 Try to quickly mimic their dress code, as much as possible – for example, if the violent protesters are all wearing face masks, use your neck-warmer or balaclava to mask your face as well. Then try to mimic their behavior – if they are all running somewhere or chanting something, chant and run with them, instead of freezing in place or going against the flow. Wait for a chance to quietly break away from the mob into a side alley or street, and when you spot it, quickly escape the area. Get as far away as you can from the dangerous area and make sure to change your appearance back to normal. DO NOT ENGAGE with anyone – this may mark you as one of the violent protesters, and may cause opposing group members or even the authorities to consider YOU as a threat. 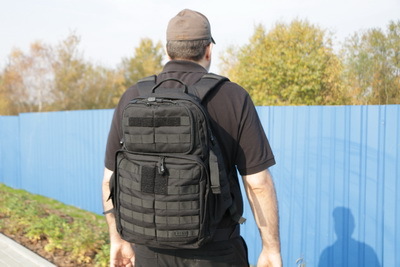 Even if you are attacked – dodge the attack, and either quickly escape or drop the assailant to the ground and then escape (you can use the survival self-defense techniques described in the books Prepared and Advanced Preparation). DO NOT TAKE UNNECESSARY RISKS and do not stay in one place for more than a few seconds! Violent protests are a growing trend in many parts of the US – it is always best to try and avoid these type of events completely. But if you’re caught in such a situation, mimic the mob, go with the flow, and then break away and escape the area. Try to remain calm and calculated, and avoid and dodge any direct attacks. Have YOU ever been caught in a violent protest or an angry mob? What do you think is the most important thing to do during an event like the one in Berkeley? Please leave a comment below – I love getting your feedback and I read each and every single comment! From active shooters to violent rampages, we’ve seen some disturbing events lately right in the heart of the USA! In our next post, we’ll continue to cover dangerous current events – how to prepare for them and how to avoid and survive them if worse comes to worst. So until then – Stay Safe! !